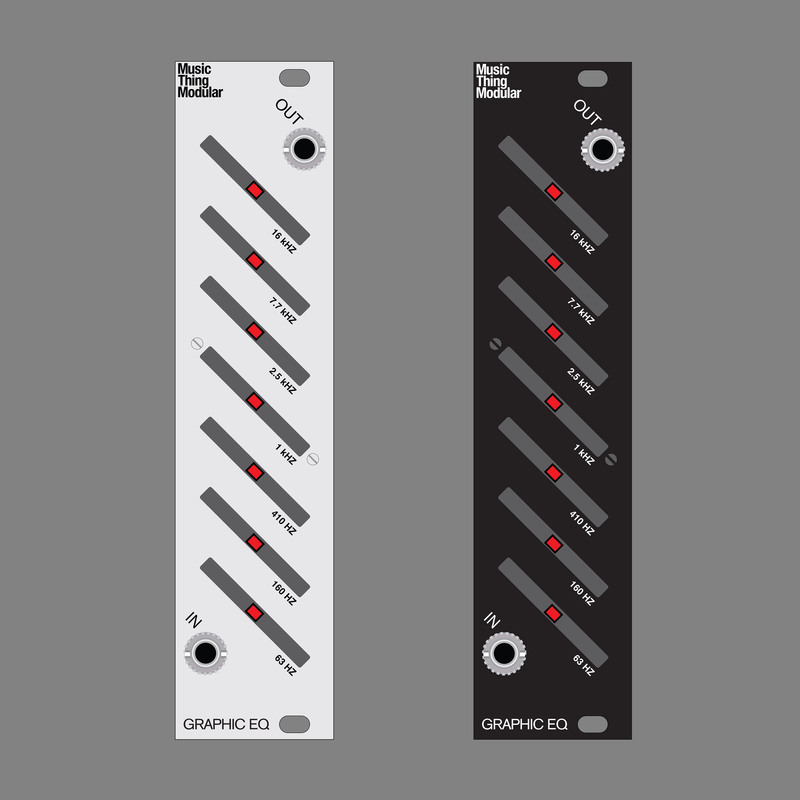 Seven-band Eurorack Graphic EQ inspired by the classic Boss GE-7 pedal. 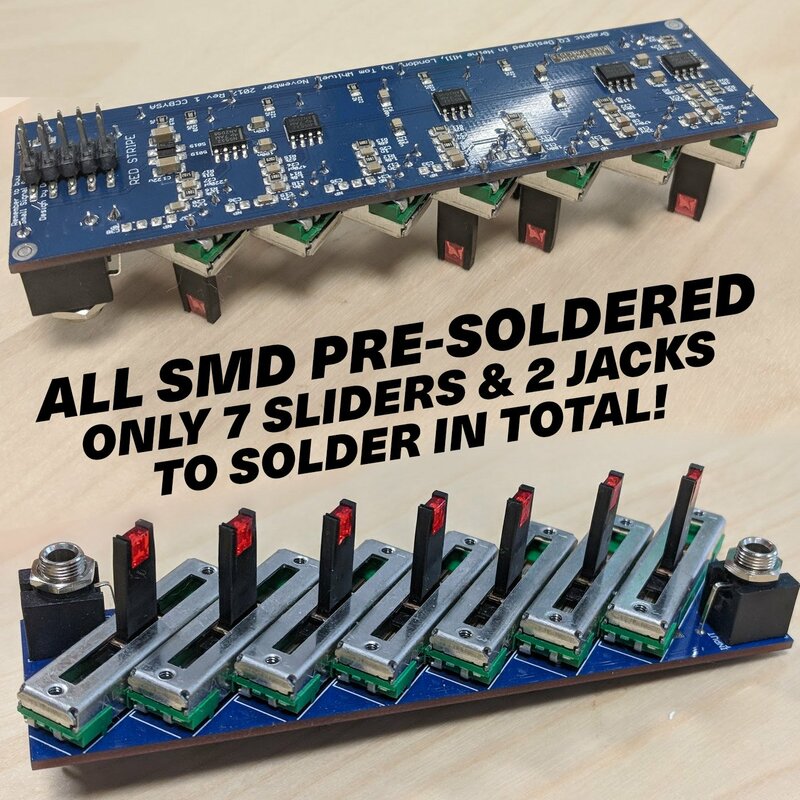 SUPER SIMPLE BUILD – ALL SMD PARTS ALREADY SOLDERED IN – ONLY 7 SLIDERS AND TWO JACKS TO SOLDER! 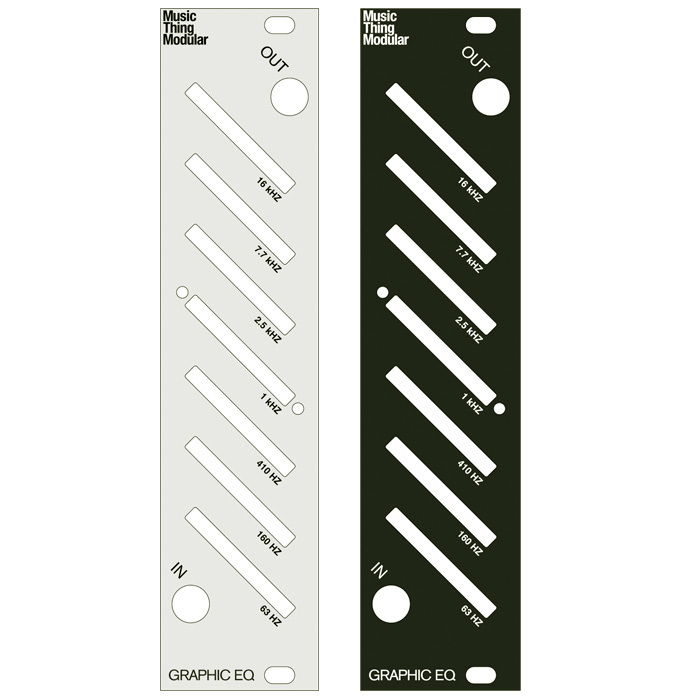 A compact and high quality seven band graphic equaliser for Eurorack. Inspired by the Boss GE-7 pedal, but with pristine low-noise circuitry and a much broader frequency range. Push the faders up and to the left to boost, down and to the right to cut. 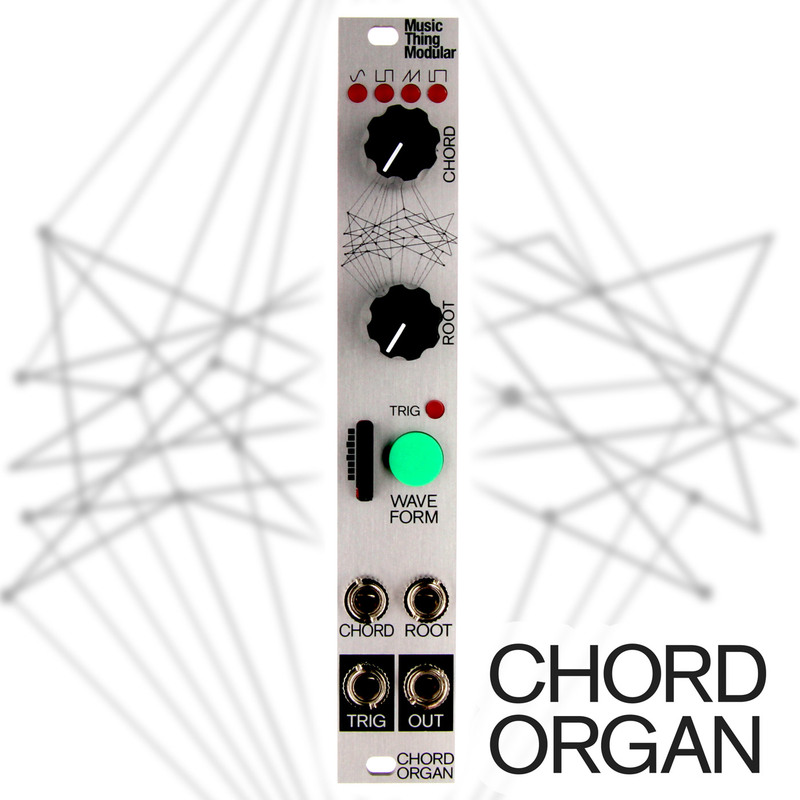 Works great in feedback loops or as a tone control for individual voices. 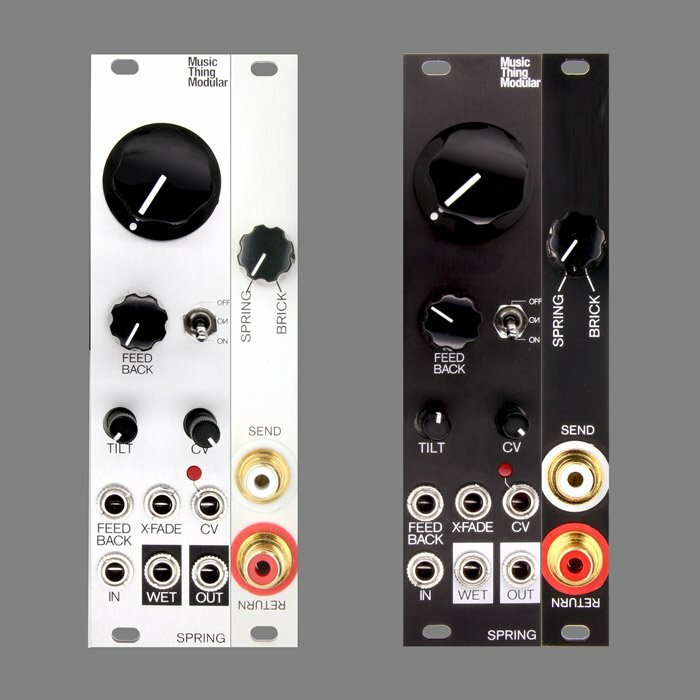 This module uses NE5532 op-amps, and is based on a design in Douglas Self’s masterful ‘Small Signal Audio Design’. 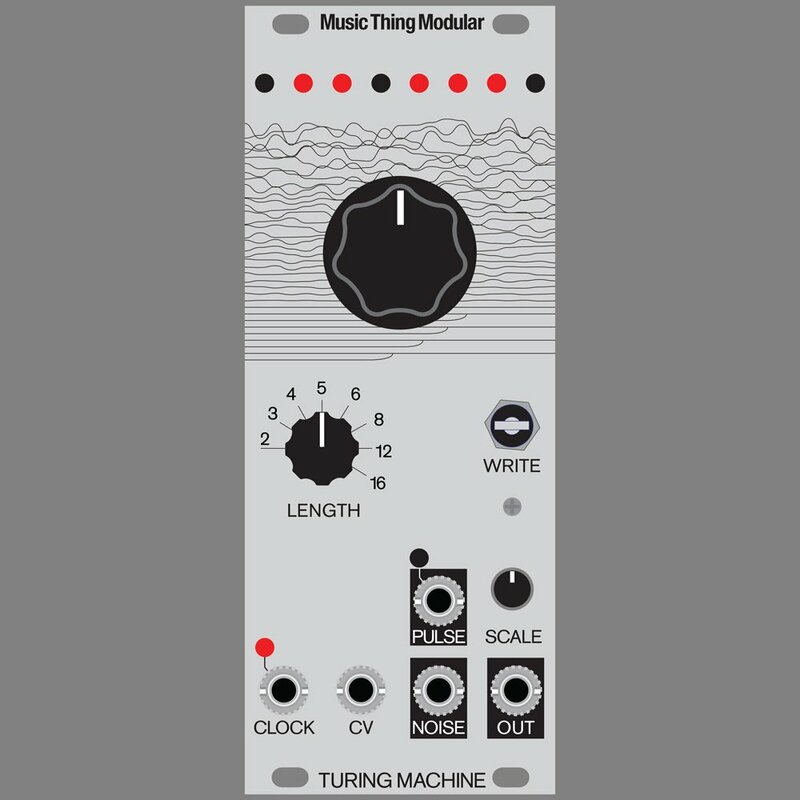 The 5532 isn’t some boutique audiophile chip – but it’s clean and works really well in this context. 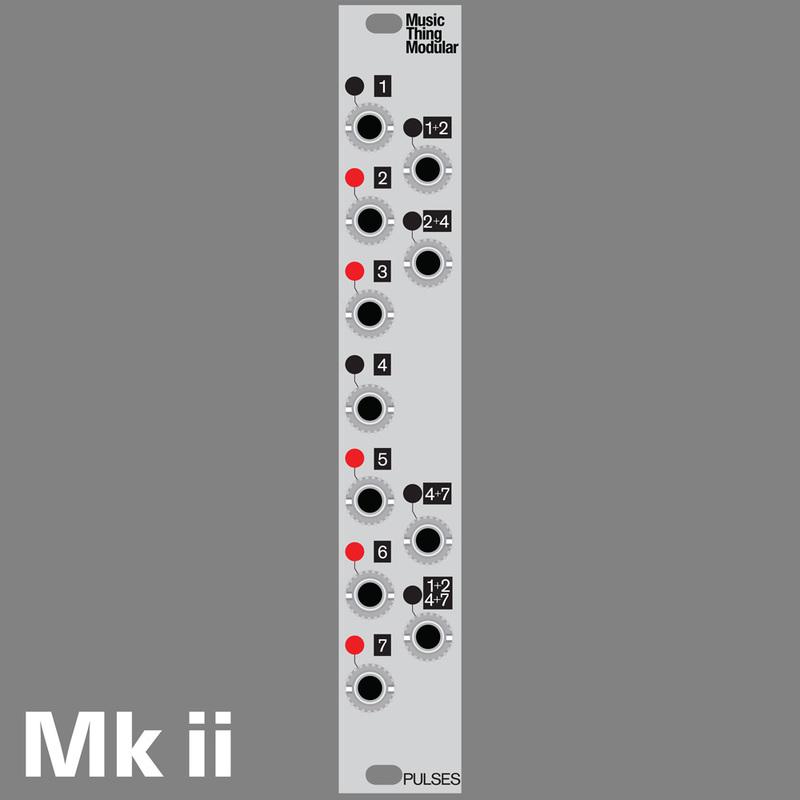 The 5 x NE5532s in this module draw 7.8ma each, a total of 39ma from the chips, generating a little bit of warmth – you might be able to feel it on the panel. With 7 x LEDs, total current draw is around 77ma. If you’re worried about power consumption, you can pull the LEDs out of their sockets in the sliders and replace them as you like, or remove the LEDs altogether.